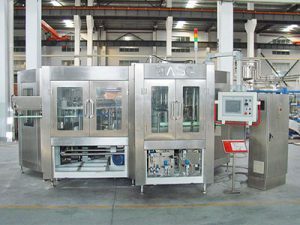 Equipment profile： DXGF, DGF PET Bottle Carbonated Beverage Equipment apply to the production of carbonated drink, with optional capacity from 3,000BPH to 30,000BPH. 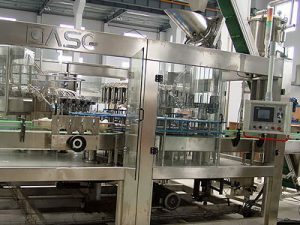 Bottles transmission adopts support bottom technology, suitable for glass bottle manufacturing; Equipment height can be adjusted and easy to change bottle volume, when changing bottle volume just need to change the curved guide plant and star-wheel. 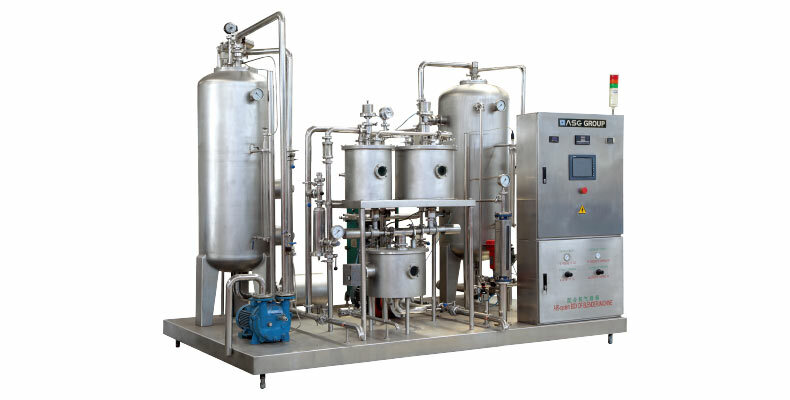 PET Bottle carbonated beverage equipment parts directly contacted with product are made of food grade stainless steel and no technology dead corner. Valve opening device is driven by the cylinder; open the valve in time according to the signal, movements are accurate and reliable. 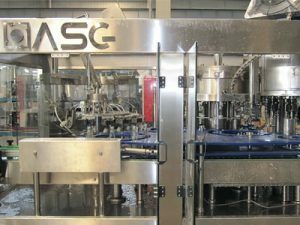 High-speed, high precision filling valve, filling fast and stable, accurate and non-liquid fluid loss. 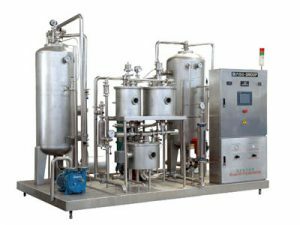 Using deflection regulating valve, continuous control of fluid materials flow, so that hydraulic cylinder to maintain a smaller level fluctuations, to ensure filling accuracy. 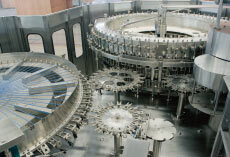 Equipped with CIP circuit and control procedures, equipment is cleaned in place. 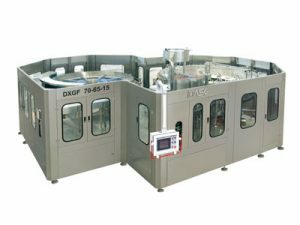 Efficient use of the cap sorting and automatic cap feeding system, with a perfect cap feeding and cap lacking protective device. 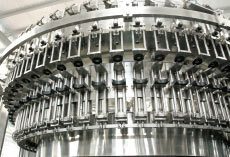 Bottle-outlet wheel adopts fixed height, when changing bottle volume, no need to adjust conveyor height. 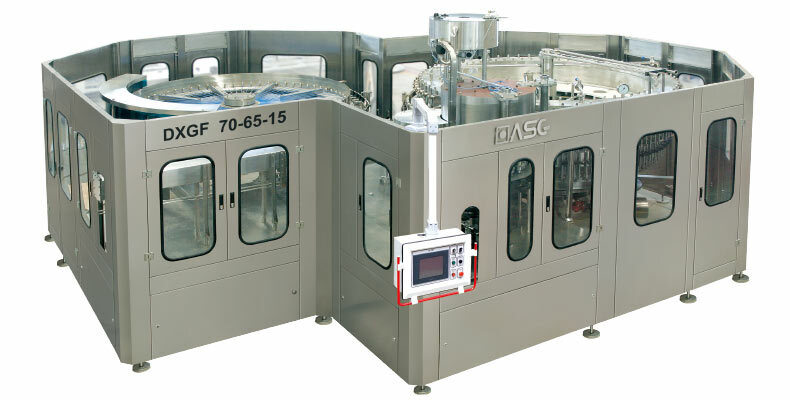 Using touch-screen operation, equipment operation status is very clear to see. 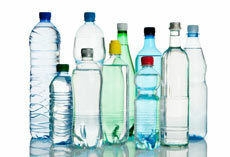 For cola, carbonated beverage, carbonated wine, carbonated water, etc. 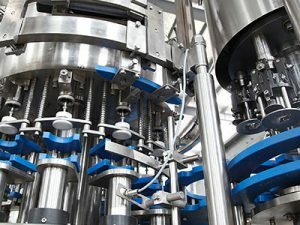 Using spiral down way of outlet bottle star wheel, no need to change the height of conveyor chain when changing botte shape?